EdChoice (formerly the Friedman Foundation for Educational Choice) is an Indiana-based nonprofit devoted to the privatization of schools through the promotion of an educational voucher system. 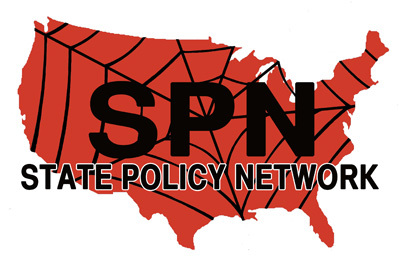 The right-wing 501(c)3 is an associate member of the State Policy Network (SPN). EdChoice was founded by right-wing economists Milton Friedman and Rose Friedman in 1996. Milton Friedman is regarded as one of the most influential proponents of neo-liberal market economics. According to the organization's website, the foundation's mission is "amplifying the national call for true education reform through school choice." The organization provides research and marketing services to local and national organizations promoting the educational voucher system among legislators and the public. The Friedman Foundation for Educational Choice has worked with the American Legislative Exchange Council (ALEC), along with the Alliance for School Choice to develop model legislation to be introduced into state legislatures across the country. The organization was a "Chair" level sponsor of the ALEC Annual Conference in 2016, which equated to $50,000 in 2010, and was one of around 60 organizations represented at the exhibition hall at the ALEC annual meeting in 2011. Matthew Ladner, an EdChoice Fellow and Koch Fellow at the Charles Koch Institute, is the co-author of ALEC's "Report Card on American Education: Ranking State K-12 Performance, Progress, and Reform." William J. Hume, Chairman of the Board, Basic American, Inc.
↑ State Policy Network, Directory, organizational website, accessed March 20, 2016. ↑ Ed Choice, What We Do, organizational website, accessed August 15, 2011. ↑ EdChoice, Model Legislation, organizational website, accessed August 15, 2011. ↑ Nick Surgey, ExxonMobil Top Sponsor at ALEC Annual Meeting, Exposed by CMD, Center for Media and Democracy, July 27, 2016. ↑ EdChoice, Matthew Ladner, organizational website, accessed March 20, 2017. ↑ EdChoice, 2014 IRS Form 990, Internal Revenue Service, August 15, 2015. ↑ EdChoice, 2013 IRS Form 990, Internal Revenue Service, August 15, 2014. ↑ 12.0 12.1 EdChoice, 2012 IRS Form 990, Internal Revenue Service, August 15, 2013. ↑ EdChoice, Our Team, organizational website, accessed March 20, 2017. ↑ EdChoice, Board of Directors, organizational website, accessed August 15, 2011.